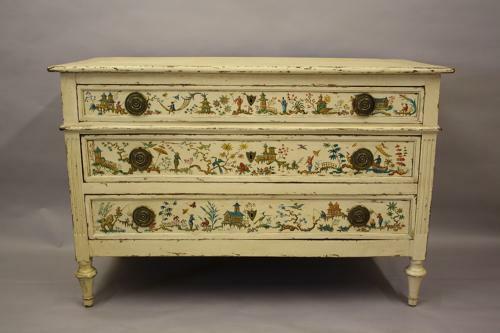 An unusual and charming hand painted cream and many coloured lacquered chest of drawers with Chinoiserie scenes. The commode has elegant legs and shape with ring pull drawer handles. French C19th piece with later decoration c1950.